We’ve beaten up on Yahoo (s yhoo) a number of times for the company’s lack of innovation and other weaknesses, including CEO Marissa Mayer’s edict against remote working, so it’s probably fair to point out when the moribund web portal actually does something interesting — and the acquisition of news-reading app Summly arguably falls into that category. This deal isn’t going to magically transform Yahoo into a star, but at least it shows Mayer is serious about pushing the company forward in ways that are becoming increasingly important. The most obvious appeal of a purchase like Summly is that Yahoo gets access to a brilliant and charismatic young programmer in founder Nick D’Aloisio, who started the company in Britain when he was just 15. 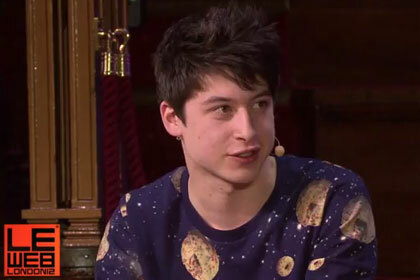 Om met D’Aloisio in Berlin and did an interview with him about the concept behind Summly not long after the teen launched his startup, and described how far ahead he was of many of his much more experienced peers. If nothing else, D’Aloisio might inject some fresh thinking into Yahoo, something it desperately needs. It’s not just fresh thinking about content or design either: while it may not be a blockbuster success story like Instagram or SnapChat, part of what made Summly interesting is that it was an attempt to rethink how we consume content on a mobile device. Circa, which is funded by Cheezburger CEO Ben Huh (and is part of our startup showcase at paidContent Live in April) is another startup focused on the same problem: how does news content need to be rethought for mobile? Yahoo News may be far from cutting edge, but it still pulls in a fairly large audience — far larger than Google News (s goog). If Yahoo can use D’Aloisio and Summly’s algorithms to figure out how to take advantage of that on a mobile device, it could potentially have a winner on its hands. Google has done virtually nothing to optimize its news-reading experience for mobile, and efforts at recommendation or curation apps like Currents have mostly fallen flat. According to an All Things Digital report, Yahoo may have paid as much as $30 million — primarily in cash — for Summly. That’s a lot for an app that only racked up about a million downloads and hasn’t really taken off in terms of readership, but for Mayer it theoretically accomplishes two important things: it shows that the company is intent on figuring out how content works on mobile, and it sends a message that Yahoo is willing to make acquisitions and bring in new talent in order to fix itself. Whether those efforts work, of course, remains to be seen. i think you would add to your credibility if you removed the word “moribund” from the first sentence. unless you can see into the future and you’re 100% sure that it’s the next Blockbuster and it’ll be bankrupt in two years (you know, just a short step from its current position of having billions in cash). it’s not like yahoo has a half billion users and a CEO who knows what she’s doing or anything, right?